The most powerful steam locomotive ever built, this beautiful symphony of iron, water and fire represents something extremely special to me. 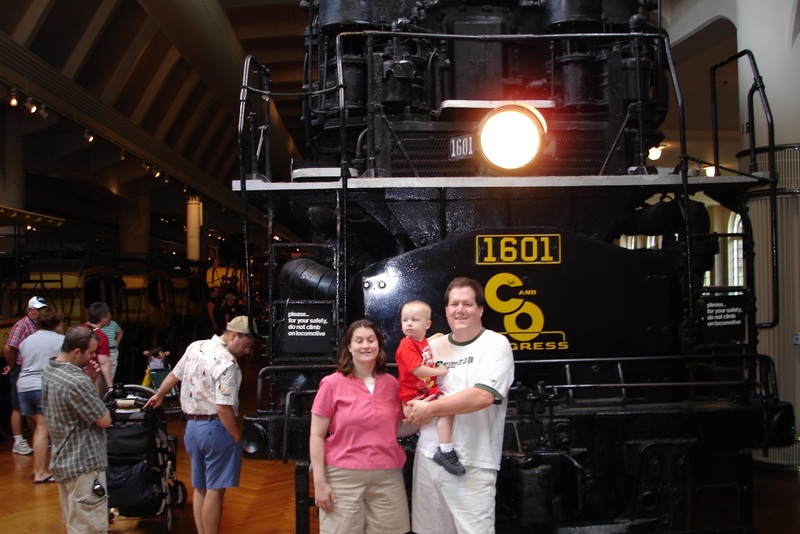 An Allegheny was the first steam train that I have memory of touching, much less sitting in the cab thereof. 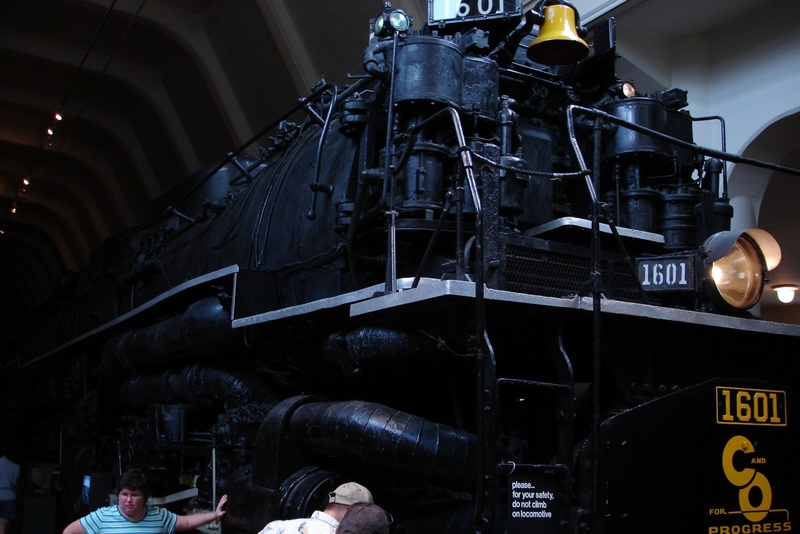 At The Henry Ford Museum in Dearborn, MI, one of the final two remaining Allegheny engines survives, where I, as a young boy first encountered #1601. 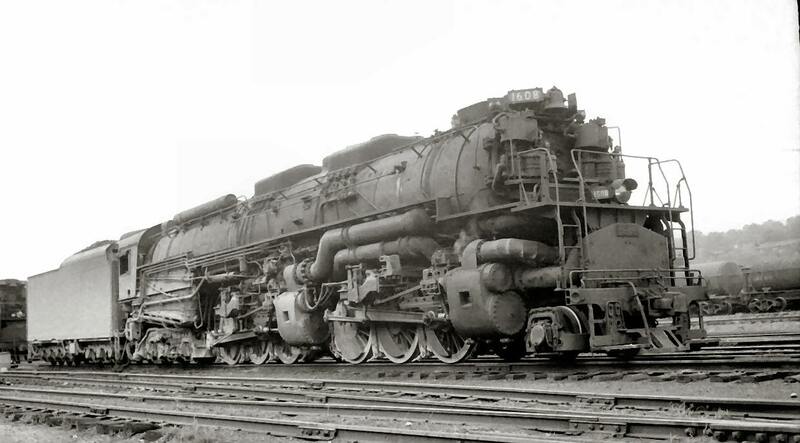 She is a MONSTER. Built in 1941, her drive wheels are nearly six feet tall, and the engine with tender span nearly 125 feet. 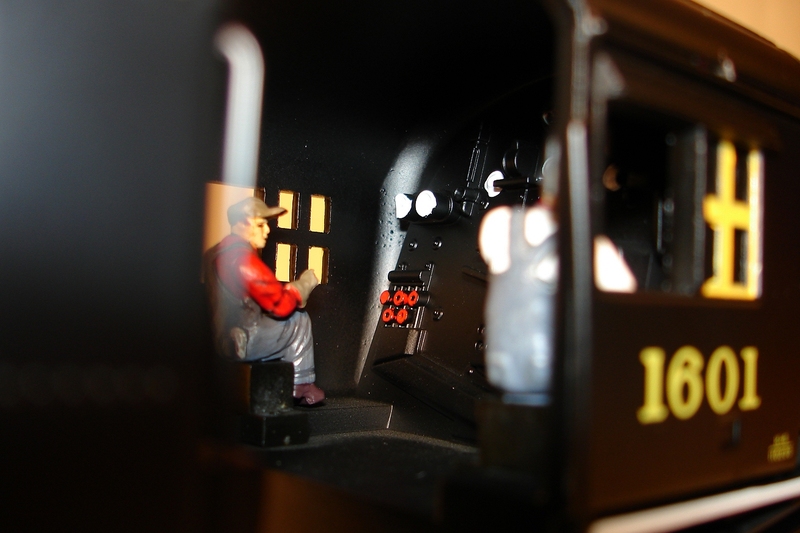 Until you actually stand next to (and inside of!) 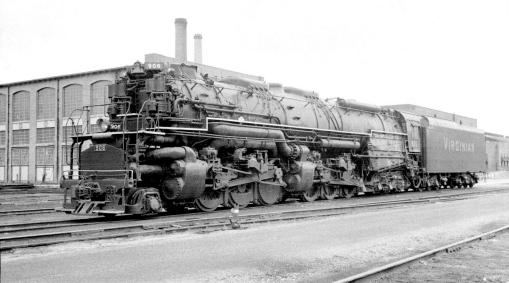 this behemoth, you cannot appreciate just how massive she really is. 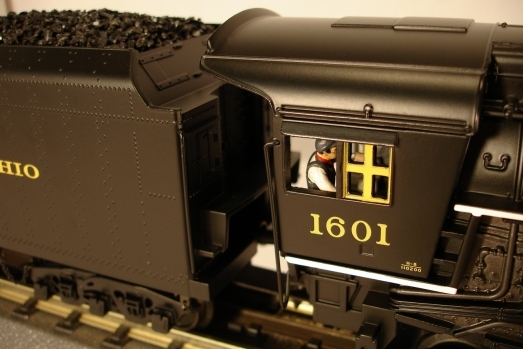 So here's the deal... MTH came out with a certain new RailKing engine in 2009. 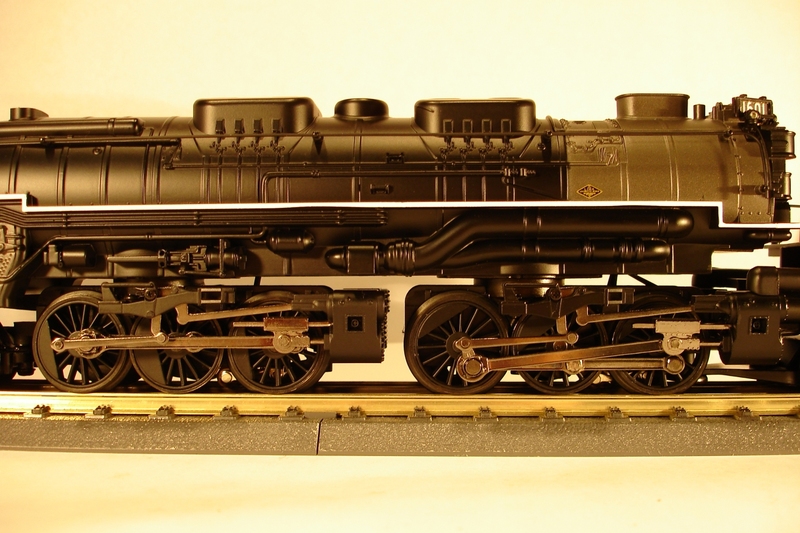 You guessed it, the Allegheny H-8. 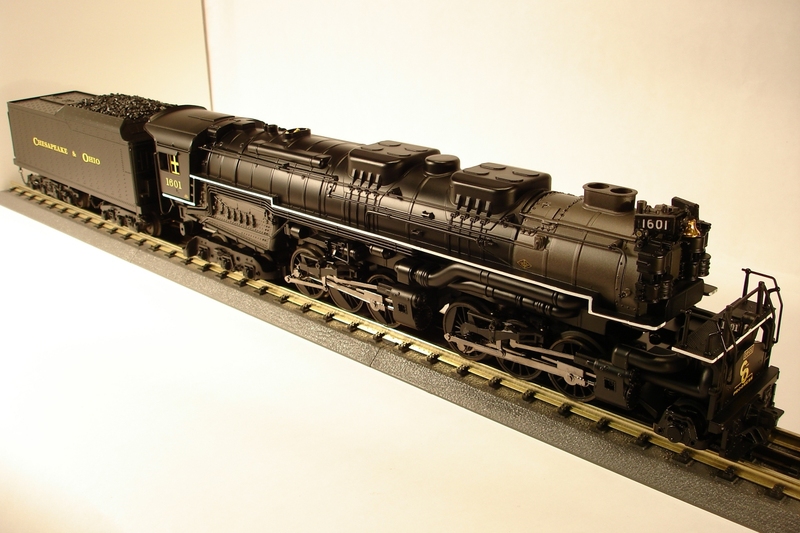 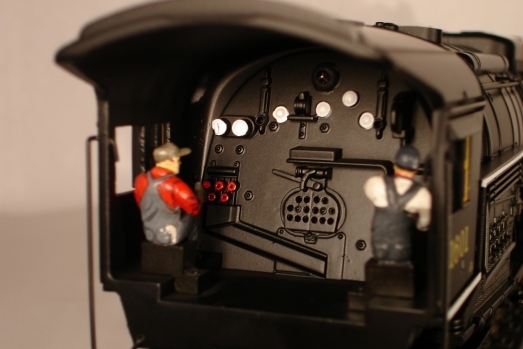 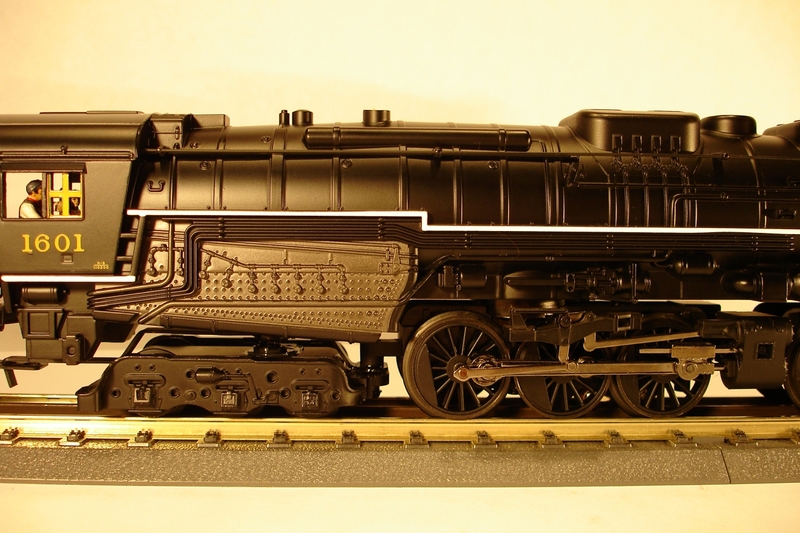 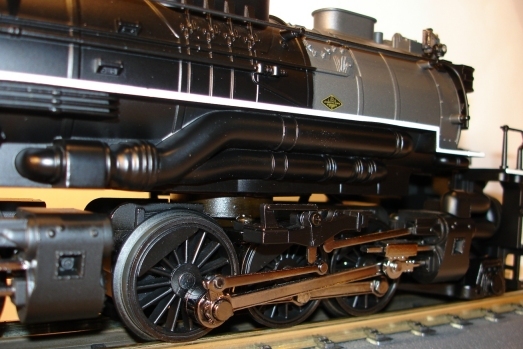 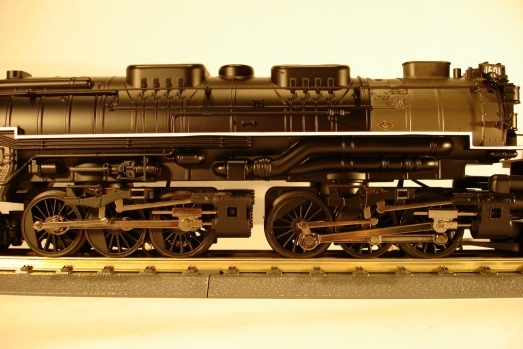 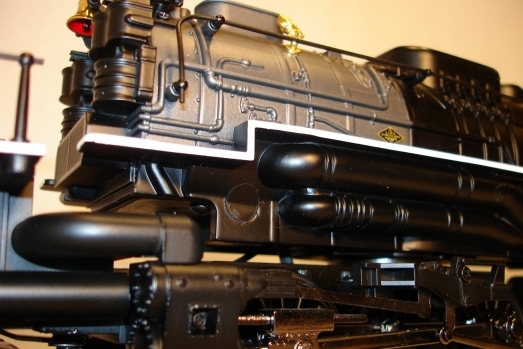 This engine ended up being one of their RailKing Imperial models which encompass an upgraded level of detailed realism and scaling. Beyond this, one of the roadnames for this model was Chesapeke & Ohio. 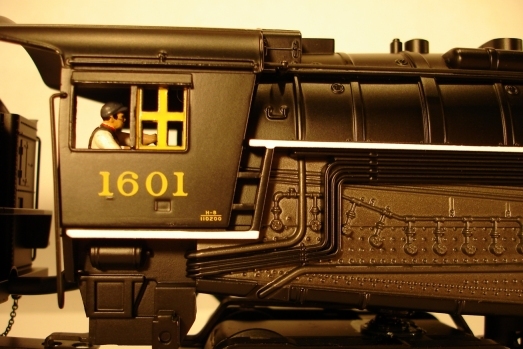 The final straw that nailed me to the wall was that of the two engine numbers they ran for this model, one was #1601. 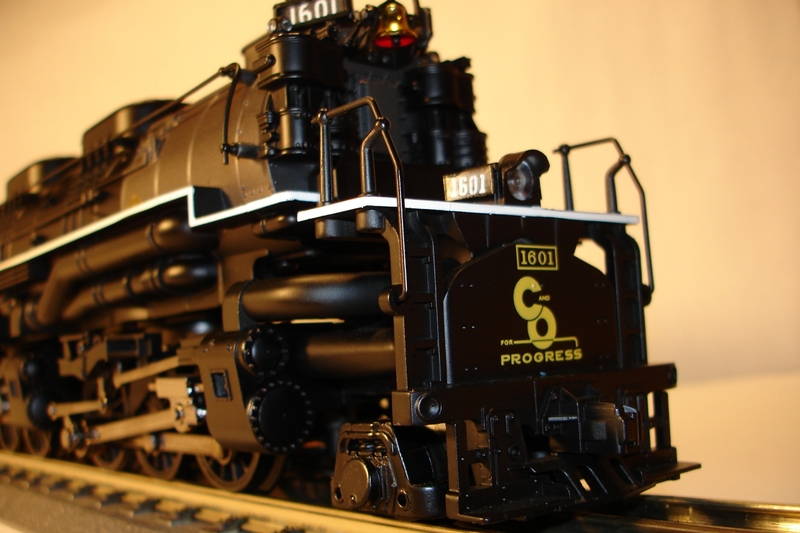 That's right, the EXACT same engine that deflowered me from steam locomotive virginity could now be running on my railroad. 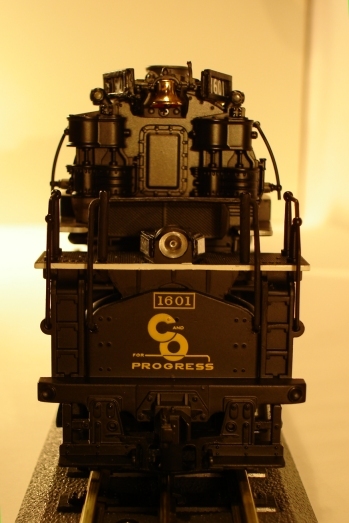 Long story short, she is now the absolute pride of my collection. Sure I love all my engines, but this lady is the belle of the ball. Even the high-pitched hooter whistle is close to how I remembered it from pushing the demonstration button back at the museum as a kid (and you can still do today). 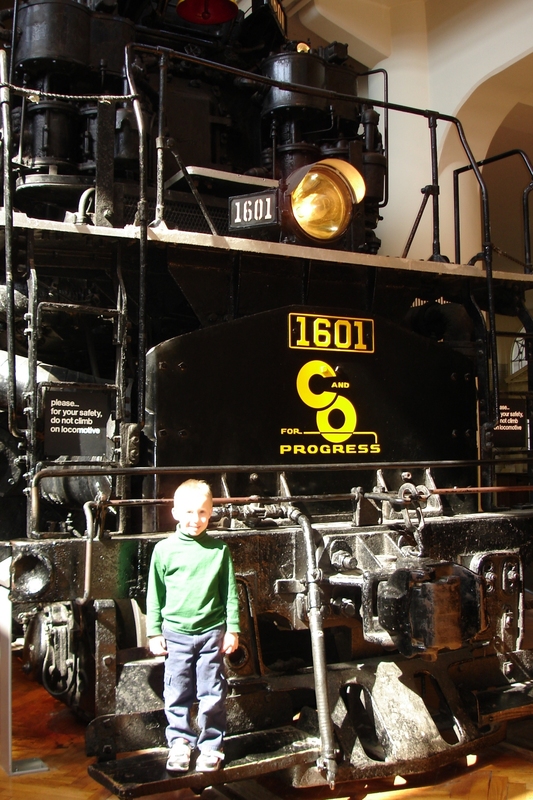 What makes me even happier is knowing that #1601 was also Jared's (and soon Devin's) first up-close encounter with a real steam locomotive as well. 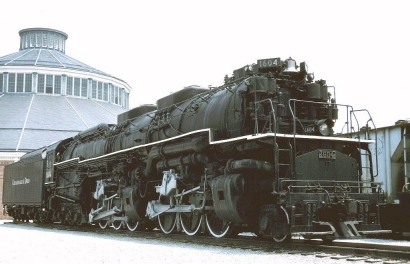 This design was a six-coupled, single-expansion articulated with 67" diameter drivers for speed, a 9' x 15' firebox with a very large boiler for steaming and 775,000 pounds of locomotive weight to assure tractive effort. The large fire box was placed behind the drivers and required a six-wheel trailing truck to support it. 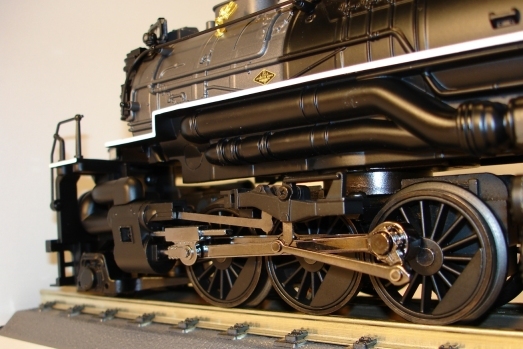 This gave the design a wheel arrangement of 2-6-6-6. With four 22.5" diameter x 33" stroke cylinders, a 260 psi boiler pressure and the 67" diameter drivers it could exert 110,200 pounds of tractive effort. The C&O agreed and placed an order for ten of these 2-6-6-6 locomotives and Lima delivered them in December, 1941. They were designated Class H-8 and assigned road numbers 1600 through 1609. With a new wheel arrangement came a new name. 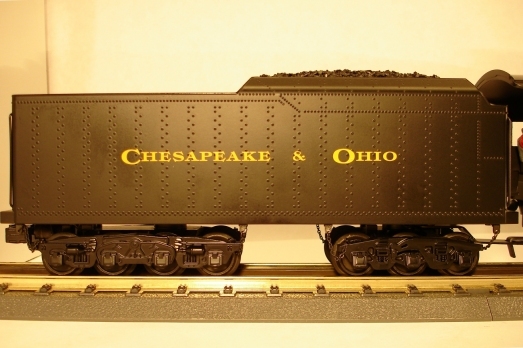 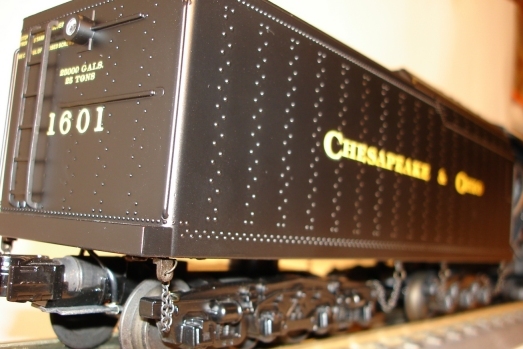 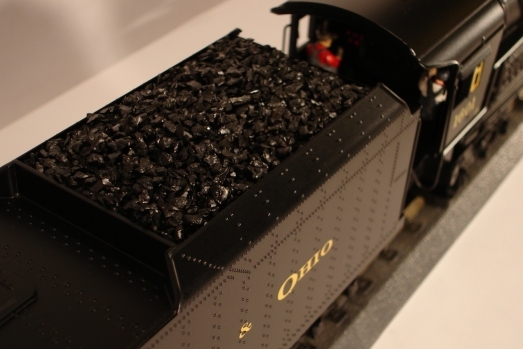 The C&O selected the name "Allegheny" for the mountain range that this new locomotive would do its work. 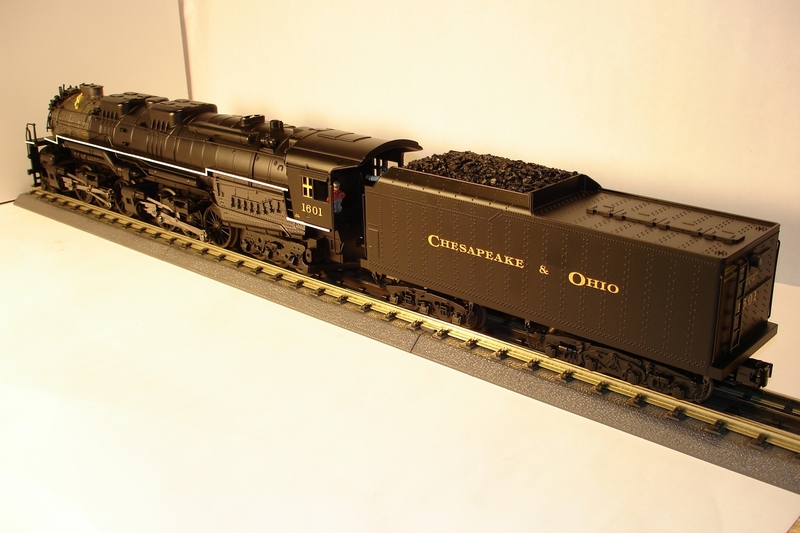 The C&O Alleghenies cost around $270,000.00 each.